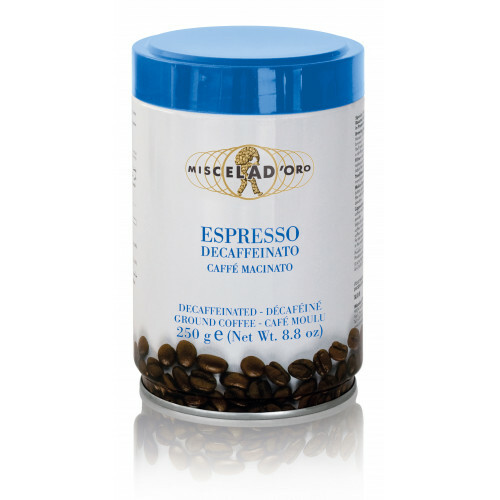 A decaffeinated blend of ground coffee with intense aroma, and a smooth crema. Especially for electric espresso machines, but also excellent in any coffee maker. Decaffeinated with pure water, steam and natural aromatic substance, already contained in coffee, without other technological aids.